Today’s digital health-tracking devices help us measure, monitor, and quantify our bodies, from our heart rates to our insulin levels, from the number of steps we take to the number of hours we sleep. The data they give us may feel empowering. But these readouts can also prompt new questions and new responsibilities, and change our understanding of what counts as healthy and what counts as sick. Taking participants through a century of self-tracking—from women using body temperature to track their fertility, to the devices used to monitor diabetes, to recent debates about genetic tests for disease risk—this panel will explore the technologies we use to ask and answer questions about our health and what we do (and don’t) come to know about ourselves in the process. Deanna Day is a historian of health, technology, and media who currently works as a research fellow in the Center for Applied History at the Institute. She is writing a book about the history of the thermometer in American medicine, showing how it laid the intellectual and material foundations for our current approach to self-tracking technologies. She lives in Los Angeles. Amanda L. Mahoney is the Public History Fellow in Twentieth-Century Clinical Medicine at the Institute. Her work explores the relationship among patients, clinicians, and technology with a focus on nursing and the material culture of the clinic. She is currently developing an exhibition related to the role of data in health care. Ramya M. Rajagopalan is a research fellow in the Beckman Center at the Institute. Her work explores the social and cultural dimensions of emerging developments at the nexus of genetics, biomedicine, and health. Currently she is examining debates about human diversity and social identity spurred by genome technologies and the role of “big data” in clinical diagnosis and treatment. This event is held as part of the Gordon Cain Conference, Visualizing and Measuring Bodies and Disease: From Cells to Patients, taking place from May 25 to 27, 2017. For more information about the larger conference contact Carin Berkowitz at 215.873.8289 or cberkowitz@sciencehistory.org. 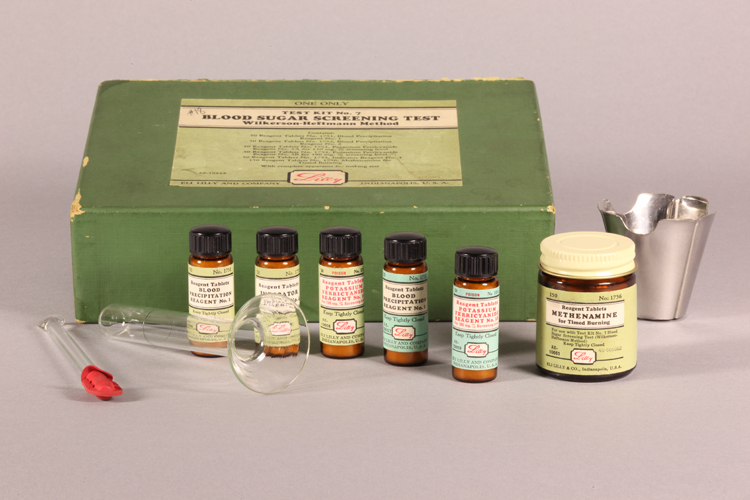 Image credit: Blood Sugar Screening Test Kit, Gift of Dr. Harvey Walker Jr., the Institute Collections.